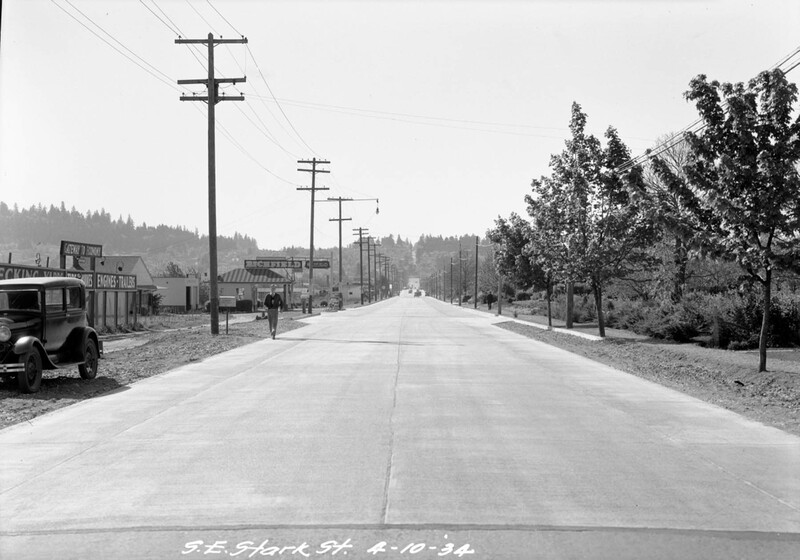 SE Stark Street seemed aptly named in this 1934 photo. Starkly populated, at least by today’s standards, very little traffic, or much of anything else, impedes this view to the west as Stark climbs over the north edge of Mt. Tabor in the distance.